5th match of Carlton Mid Tri-Series has been played between Australia and India at Sydney Cricket Ground today. Match washed-out bay heavvy rain after 16 overs India played. 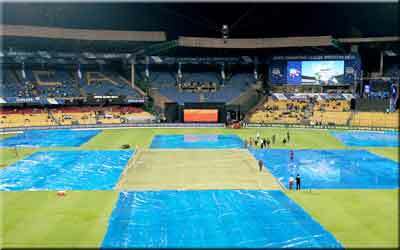 India made 69/2 at 16 overs and rain interrupted match and resulted in no result. Each team got 2 points in points table tally of Triangular series 2015. Now, India will play with England on 30th January. Winner of this match will play Final encounter match with Australia. Australia is already in Final with 15 points.